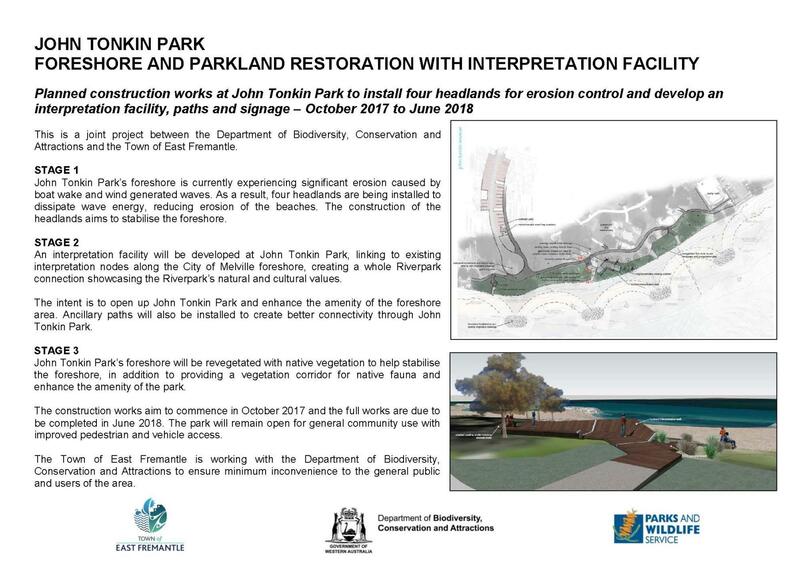 This joint project between the Parks and Wildlife Service of the Department of Biodiversity, Conservation and Attractions (DBCA) and the Town of East Fremantle to develop an interpretive node (information facility) at John Tonkin Park in East Fremantle, is set to continue later this month. Stage Two of the Swan River Foreshore work will involve the construction of the interpretation node, in addition to landscaping/revegetation works. The contract to undertake this final stage has been awarded to Meta Maya Construction Pty. Ltd. (MMC). Meta Maya are based in Perth but through services delivered maintain a national client base. MMC is the result of the parent organisation, Pilbara Meta Maya Regional Aboriginal Corporation acquiring a niche construction business. The Meta Maya group of companies have been delivering services around properties for over 20 years and with the acquisition acquired an accomplished construction team, who have in excess of 25 years in the industry. MMC’s project teams are staffed by experts within their respective fields who are passionate about what they do and believe in “quality within value”. MMC offer a diverse range of complementary client focused services across multiple disciplines adding value at every stage. Stage Two works are to commence on the 20 September 2018 and are estimated to be completed by 30 October 2018. The interpretation node will be a wooden deck structure shaped to create a multi-use space providing seating, interpretation panels and improved foreshore access. The facility will link to existing interpretation nodes along other areas of the river, encouraging a whole Riverpark linkage by showcasing the Riverpark’s natural and cultural values. The sign below illustrates the extent of the works and there are three artists impressions of what the node will look like from the River. Artists impression of what the nodes will look like from the River.